The X-Men have had a hell of rough year, which isn’t usually news, as they’re the X-Men and it seems like the fate of all Mutantkind is under threat every Tuesday. But this one in particular has left the X-Men standing, but just barely—and none of them quite know where to go next, except to a much needed change of scenery. X-Men Prime, by Marc Guggenheim, Greg Pak, Cullen Bunn, Ken Lashley, Ibraim Roberson, Leonard Kirk, and Guillermo Ortego, shows us a Mutantkind that’s survived the latest fate-threatening excursion, but also one that’s tired and aimless. Through the lens of Kitty Pryde—who’s been off doing things like being a Guardian of the Galaxy—we learn that although the X-Men’s war with the Inhumans ultimately led to their survival, no one really knows where to go from there. The young, time-displaced X-Men have decided to strike out on their own away from the rest of teams, after learning in All-New X-Men #19 this week that they can’t go back to their own timeline again. Storm, haunted by her decision to go to war instead of resolve the Inhuman situation peacefully, is contemplating quitting the X-Men altogether. 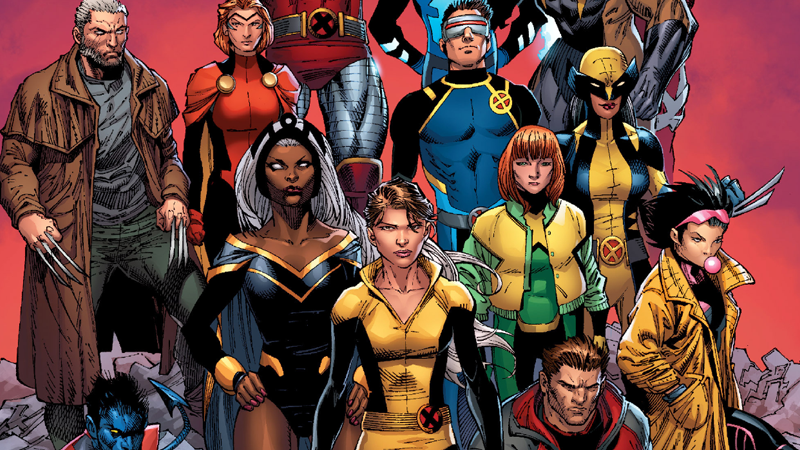 With no direction, the thought of the X-Men themselves disbanding is an uncomfortable unspoken gesture that lingers over Kitty’s catch-up with her former allies. But the fresh move is a sign of things to come for the X-Men, after years of being on the back foot both in the comics and metatextually at Marvel. In moving the Jean Grey School for Higher Learning to New York, Kitty Pryde has placed a banner, a sign to the world: the X-Men are back, and they’re here to stay.